Pipes and drains around properties seem to be indestructible – until they aren’t! These systems are designed to handle a wide-range of organic debris but every once in a while something foreign sneaks in. These items result in clogs. Even the smallest of blockages can result in slow-draining water. No one wants to hop into the shower, only to have soapy water collecting around their ankles – and that is the best case scenario! Sewage backup is also a very real possibility, resulting in exposure to bacteria and health hazards. 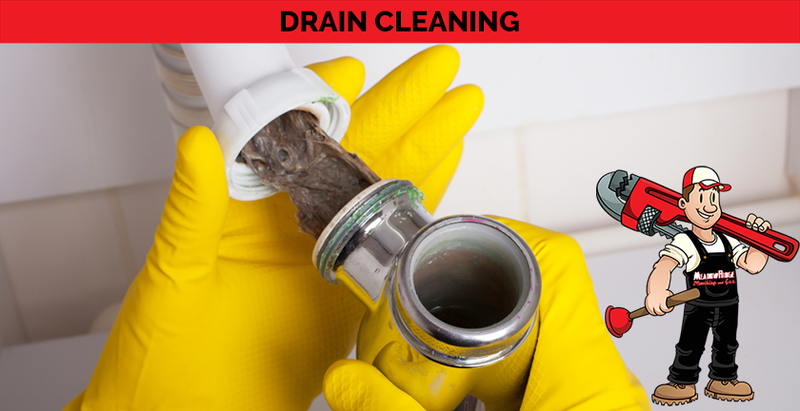 Professional drain cleaning treats initial clogs as well as surrounding problem areas to keep your system running smoothly. Clogs are created primarily by a build-up of small items over time or one large obstruction. Pouring chemical drain cleaners down a pipe will do little to treat a child’s toy, face cloth or hygiene product that has been lodged inside. Without the right tools and training, it is impossible to decipher exactly what type of clog you are dealing with. This uncertainty, however, does not stop most property owners from trying! Every year, thousands of owners and managers flock to hardware stores for chemical plumbing treatments. Not only are these chemicals ineffective, but they also introduce hazardous materials into your living space. Lye is a main active ingredient in most drain cleaners. This chemical is highly toxic and should not come into contact with eyes or skin – unless you want a chemical burn, that is. Those treatments that do not contain lye are still harsh on your system. Drains and pipes are designed to transport water and organics alone, so everything else can cause erosion. A bit of this happens naturally over time but harsh treatments speed up the process, ruining your pipes. Instead of grabbing liquid drain cleaners, leave them on the shelf and opt for professional care. Plumbing specialists offer up alternative methods to drain cleaning, while going easy on your system. Results do not come easy, but the expert plumbers in your area have spent years combining experience and ongoing training to perfect drain cleaning practices.